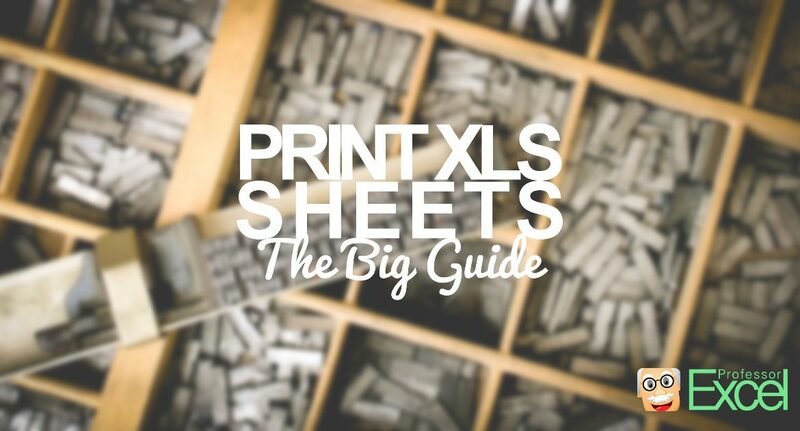 It’s a nightmare: Printing Excel sheets. 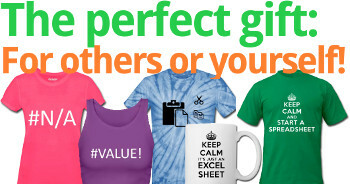 You permanently feel like Excel hates you when you want to print an Excel sheet. That said, let’s take a look at the basics (like defining the print range) as well as advanced topics (like changing headers and footers on several sheets simultaneously). How to squeeze everything on one page? How to set the printing range? How to change and fine tune the printing range? How to repeat rows and columns? The fields for setting rows and columns to repeat are greyed out. What to do? How to set headers and footers? 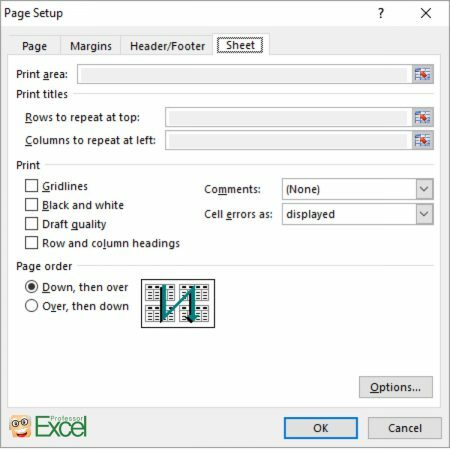 How to change print settings for several sheets at the same time? How to change headers and footers, when everything else is set already? How to center the printout range on the sheet? How to change the orientation (portrait/horizontal)? How to print odd or even pages only? Starting is simple: Press Ctrl + p on the keyboard. Now you can see the print preview and change the print settings as shown on the image on the right hand side. Most settings can also be accessed via the Page Layout ribbon. The advantage to to it within the print screen (as shown in the image above) is that you can see changes right away. Open the print preview dialogue by pressing Ctrl + p on the keyboard. “Fit Sheet on One Page”. That way everything will be squeezed on one printout page. “Fit All Columns on One Page”. 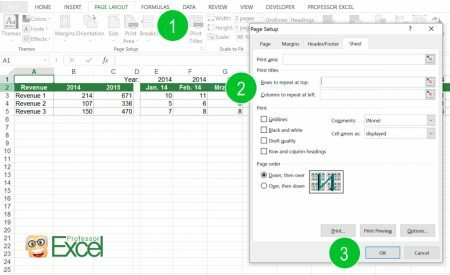 Excel scales your page so that all columns are on one sheet. Rows might extend over several pages though. “Fit All Rows on One Page”. As it says, all rows will be fitted on one page. That means, the columns could spread over several pages. 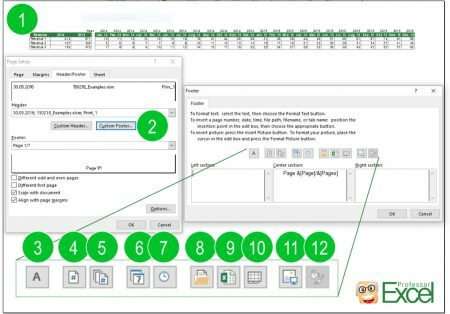 Set the print range with just two clicks on the Page Layout ribbon. 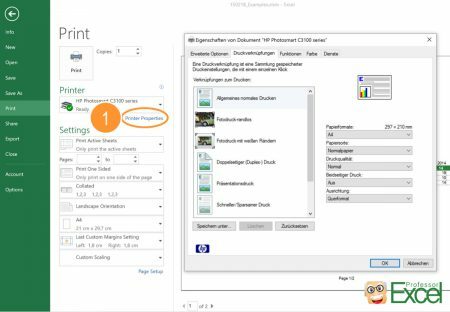 The fast way of setting the print range: Select the cell on the worksheet which you want to be printed. Now click on “Print Area” on the “Page Layout” ribbon (number 1 on the picture on the right hand side). After that, click on “Set Print Area”. One more advice: There is a tiny arrow in the right bottom corner which opens the window for all the printing preferences (number 2). With this button you can also set the rows and column to repeat. For more information on that topic please check the paragraphs below. 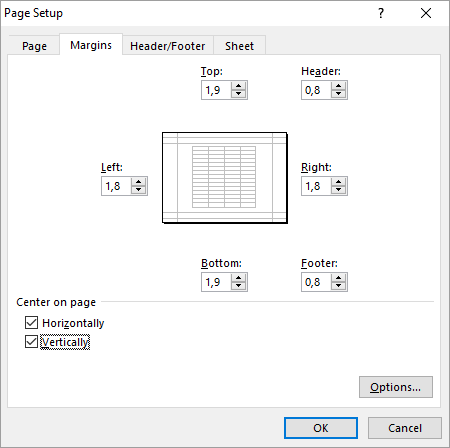 Switch to “Page Break Preview” for fine tuning the print range. Especially when printing large worksheets on more than one page, you might want to fine tune the print range. For example, change the page break. Therefore, switch to “Page Break Preview”: Click on “Page Break Preview” on the “View” ribbon. 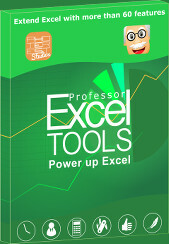 Excel then shows you the pages with blue and dotted blue lines. Not printed areas are greyed out. You can drag and drop these line to your desired format. Please note that the mouse arrow often doesn’t work correctly: In many cases it doesn’t switch to the drag and drop mouse pointer. If that happens to you: just proceed. Usually the dragging and dropping still works well. Set the rows and columns to repeat by clicking on “Print Titles” within the “Page Layout” ribbon. 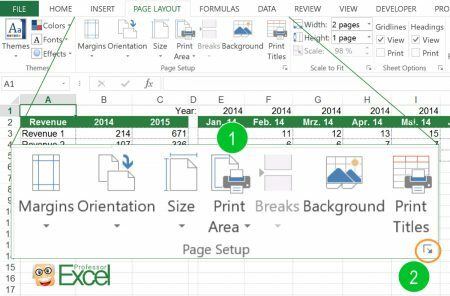 If your worksheet spreads over more than one printed page, you can define rows and columns to repeat. That way, the header row or column will be printed on each page. Large tables are much easier to read. You have to go through the “Page Layout” ribbon and set the print range there. Click on “Print Titles” within the “Page Setup” section on the “Page Layout” ribbon. Select the rows or column you want to be repeated. Confirm by clicking on “OK”. Please note: You can’t change these settings if you go through the print preview window (see paragraph below). There is a strange bug in Excel – already for some years. After pressing Ctrl + p for opening the print window you can’t modify the rows and columns to repeat. 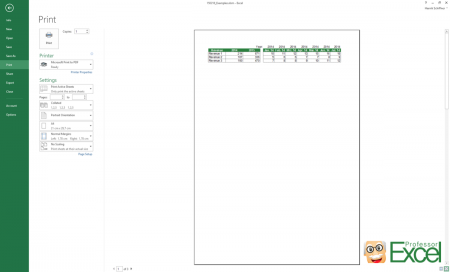 The “Print area”, “Rows to repeat at top” and “Columns to repeat at left” are greyed out and can’t be changed as shown on the image. … you have to go through the “Page Layout” ribbon and open the Page Setup dialogue there. Select the rows or column you’d like to repeat. Therefore click on the small button on the right hand side of each text field. Enter the print screen by pressing Ctrl + p on the keyboard. Now go to “Page Setup” and navigate to “Headers and Footers”. Click on “Custom Header” or “Custom Footer”. Now you’ve got many options for defining headers and footers. Add a custom text by just typing into one of the text boxes. You can change the font style by clicking on the “A” button (number 3). Insert the number of the current page. This number will depend on the sheets you are printing. If you just print the second worksheet of your workbook, the numbering will still start at 1. Insert the total number of pages. Also this number depends on which sheets you are going to print. Insert the current date. This is the date at which you are printing the workbook – not the last save date. Insert the file path of your workbook. By default, Excel adds the path and file name. If you only want to insert the path without the file name, type “&[Path]”. Besides the file path, you can also insert the file name. Often useful: Insert the sheet name. You can also insert a picture. Just click the button and select your picture. In most cases, you need at least to define the correct size of your picture. Once you’ve selected a picture with button “11” you can modify it by clicking on button number 12. Example: You want to insert “Page 2 of 3”. Therefore enter “Page ” then click on button 4, type ” of ” and click on button 5. Changing the print settings for several worksheets simultaneously is quite easy: Select all the sheets and press Ctrl + p on the keyboard. Now the changes will be applied to all the selected worksheets. Attention: Even if you just want to change one setting (e.g. the headers and footers), everything will be resetted, for example also the print range or orientation. You could use this method as a starting point: Roughly define the print settings for all worksheets and afterwards fine tune each sheet separately. Please refer to the next point if you want to change or update headers and footers for many sheets at the same time. 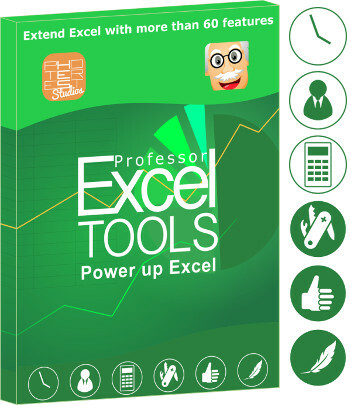 Comfortably change headers and footers with Professor Excel Tools – all other print preferences will remain! Change the header and footer manually on each worksheet. 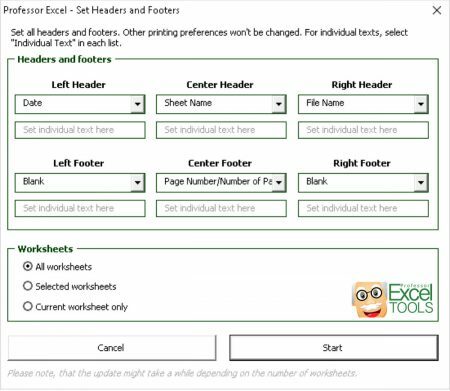 Our Excel add-in “Professor Excel Tools” provides a simple and comfortable tool for changing printing headers and footers without destroying existing print preferences like the orientation. Even better: It saves your previous print preferences. You want to center our table on the printout paper? Again, open the print dialogue by pressing Ctrl + p on the keyboard. Now click on “Page Setup” on the bottom of the left hand side. Navigate to the “Margins” tab. In the lower part of the window you can find the section “Center on page”. Set the tickmarks as desired for centering your table vertically or horizontally on the printout page. Easily change the orientation from portrait (default) to landscape. Like before, open the print preview. Either by clicking on “File” and then “Print” or by pressing Ctrl + p on the keyboard. Most printer offer a two sided print option. First question: Why do you want to print odd or even pages only? 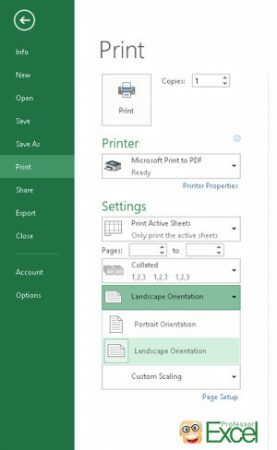 If the reason is that you want to print your Excel sheet on front and back side of the paper, please take a look at the print menu first. Most printers offer such option so that you don’t have to worry about odd and even pages. Therefore, press Ctrl + p on the keyboard. As usual, you will see the print preview. Then click on the “Printer Properties” button (number 1 on the image). Then the printer menu options – this windows looks different for each printer. You might have to search a little bit for that option. You still want to print all odd or or even pages? The only option is a short VBA macro. I have a long excel sheet and i want to repeat the signature area (for me and client) on the bottom of every page, apparently VBA code will be required for this which i dont know anything about. Sorry, but I need to clarify: Do you have many worksheets on which you want to insert the signature area simultaneously or do you have one very large worksheet? You don’t necessarily need VBA code for that. Select the worksheets you want to add the signature area on, click on “Print Titles” on the “Page Layout” ribbon. Go to the Header/Footer tab and click on “Custom Footer”. Now you can format the footers for all selected worksheets. I have 01 sheet, a lengthy one, 4 or 5 pages(some sheets are loner). last 3 rows of sheet are for name, signature, date. similarly top few rows consist of headers, now i want that when i print, top rows should be printed on top of every page (this can be done by print titles). also i want last 3 rows to print on bottom of every page (including formatting) , this i can’t achieve and need your help for this. 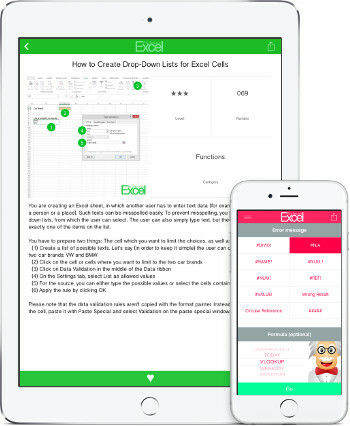 1st: You could split the worksheet manually into 5 pages and copy the signature under each of them. This method is not elegant but could work. 2nd: Try to use the printing footers. If some complex formatting can’t be done there, you also have the opportunity to embed pictures into the footer (at least with recent versions of Excel). If your signature is too complex, try to insert it as a picture. Either way, please let me know if you could make it work. If you find another way, I’d of course also be interested to learn it.